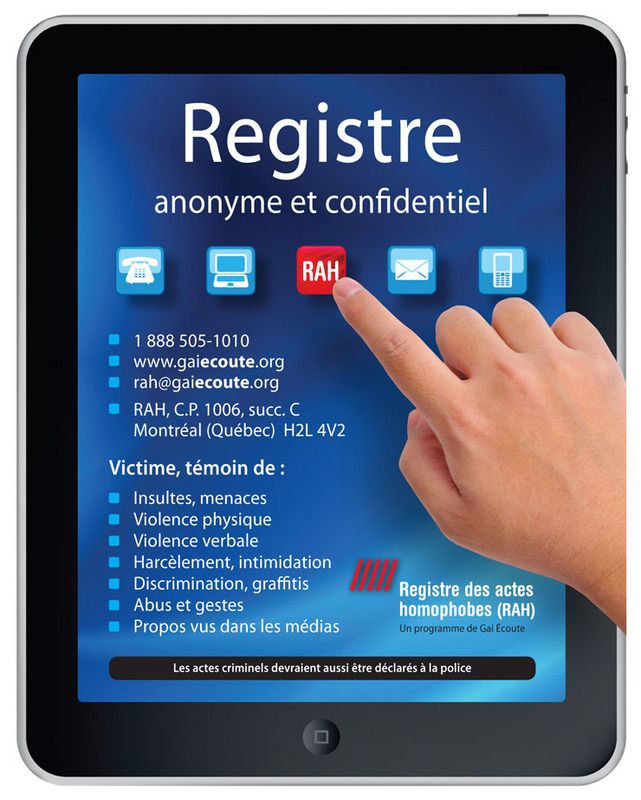 Gai Ecoute a Quebec homosexual activist group, has launched what it calls “the world’s first registry of homophobic acts.” The group says that anyone who is a victim or witness of homophobic acts must report it to the registry. Reports can be made anonymously by phone, email or other means. The group defines homophobic acts as “any negative word or act toward a homosexual or homosexuality in general: physical abuse, verbal abuse, intimidation, harassment, offensive graffiti, abuse, injurious mockery, inappropriate media coverage and discrimination.” The registry was set up with funding from the Office of the Fight against Homophobia in Quebec’s Department of Justice, and Montreal Police Chief Johanne Paquin was present at the news conference announcing the registry.